The lamb was stunningly tender and flavorsome...my wife decreed it was her favorite lamb dish of all time..
Hi Dingo, looks nice and tasty - one of my favourite cuts of meat and good Autumn fare. Instead of mash we like to put thick sliced potatoes under the meat for part of the cooking time to soak up some of the fat. Certainly sticks to your ribs ! That sure looks better than the last one I did. Mine was all fat. A much under-rated cut, which means that it will probably be trendy soon. Maybe Nigella will be rolling it into a tube to snort her coke from? The last one I got for £3 locally. 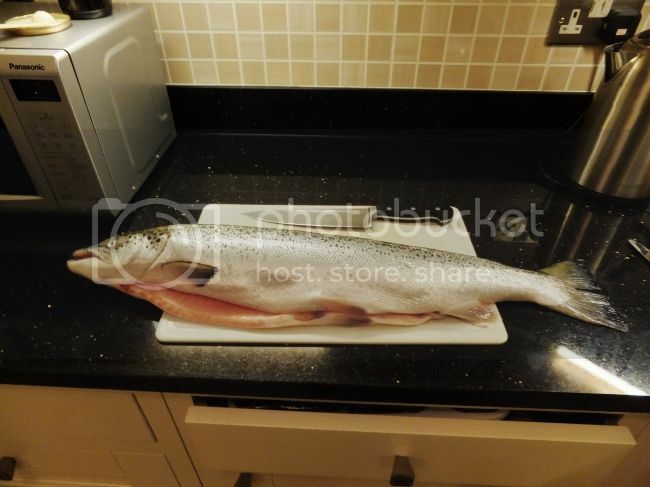 Doubtless someone from oop north will say he can get them for three ha'pence each from his local market with a brace of salmon thrown in, but I thought £3 wasn't bad for a spawny-eyed southerner. 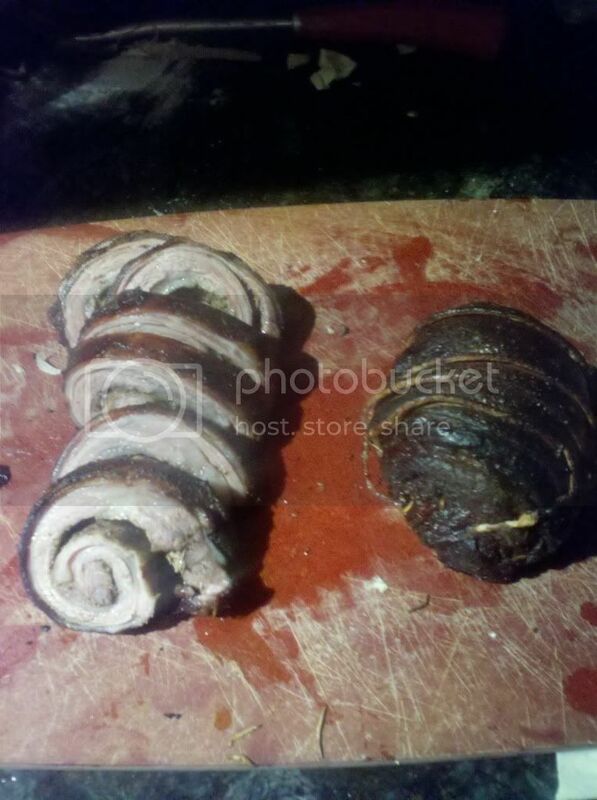 It was boned, spread with harissa and bashed garlic cloves, rolled and roasted to a lovely, lamby crispiness. Yum! If only ! No breasts on offer at the moment have to accept full legs at £15 a pair. Re' the Salmon - this little beauty was organic (notice the full tail) and cost me a full £5 note. Only managed 14 boneless steaks from it. Let's hope me Whippet likes Salmon ! That has to be my favourite cut of lamb ever....and yes, I'm one of those sad unfortunates who can remember not that long ago picking up a whole lamb breast for £1.50! Now it's silly prices but my butcher does it at a reasonable price. 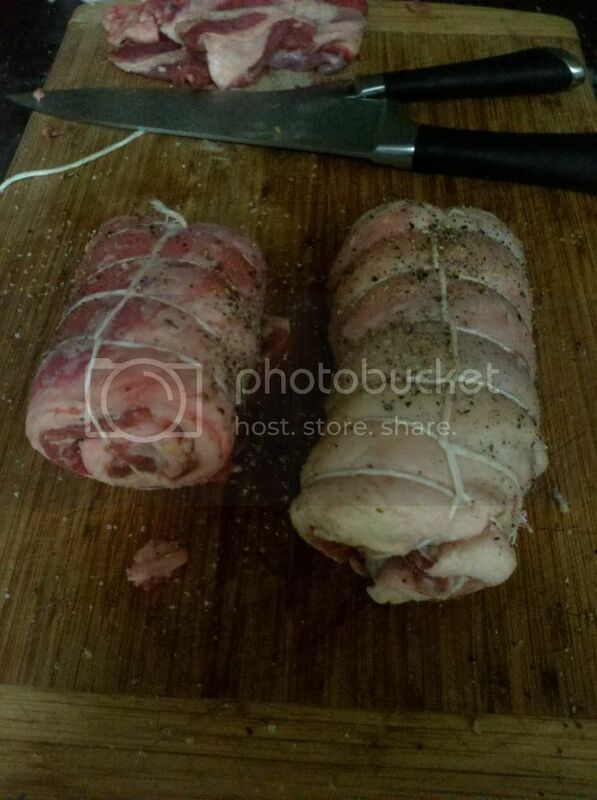 There are loads of ways of doing it on or off the bone but boned, stuffed and slow roasted is one of my personal favourites, too high a heat though and it just turns to fat. Not long ago I made a great pot roast with it and now I've got a slow cooker again plan my top recipe with it, plain old simple Irish stew. 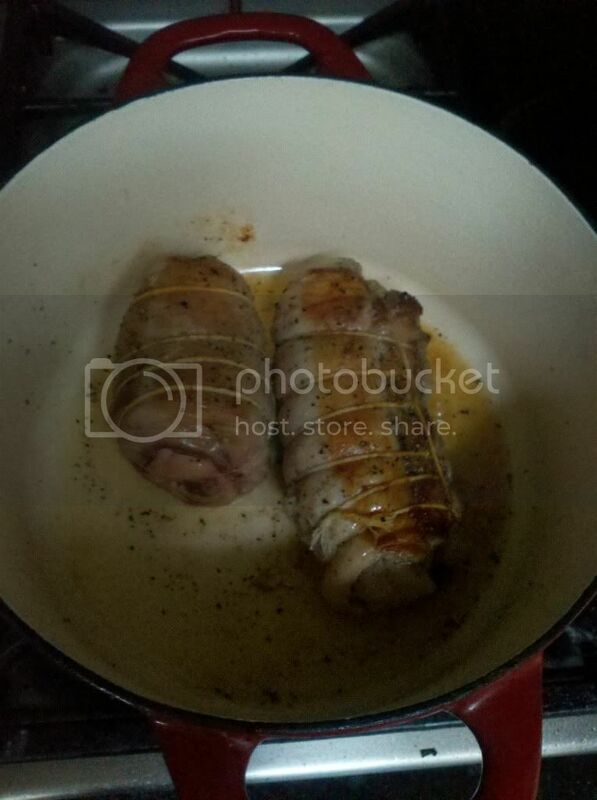 It is a hugely fatty cut, don't mind that myself but the butcher should trim the fat if you don't want to, I cut it into roughly 1" cubes for the stew and cooked really slow it hardly shrinks at all and is incredibly tender, one breast should serve two people. I also bulk it up with black pudding and lambs kidney plus the obligatory pearl barley and dumplings. It's sadly one of those unfashionable cuts of meat that thanks to TV chefs is becoming popular again so the price gets ramped up or it just goes into mince which is a shame.